Laura co-founded Baldwin Krystyn Sherman Partners (BKS-Partners) in 2006 and Baldwin Risk Partners (BRP) in 2012. BKS-Partners consistently posts industry-leading growth and superior client retention rates and is the recipient of numerous local and national awards recognizing the firm’s growth and excellence in the insurance industry and as an employer. Laura specializes in providing risk management solutions for successful individuals, family offices and businesses. While protecting family offices since the firm’s founding in 2006, Laura led the build out of the Family Office practice group, expanding the risk management services, client tools and team. Serving over 100 client families, the BKS-Partners family office practice has been recognized by Private Asset Magazine as one of the five best high net worth insurance brokers and Risk &amp; Insurance as a Risk &amp; Insurance Power Broker for Private Client. 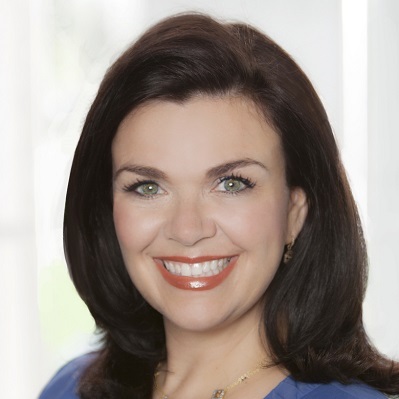 Laura has been named one of Insurance Business America Magazine’s Elite Women in Insurance, One of Tampa‘s leading ladies by BLU Tampa Bay and has been a Tampa Bay Business Journal Business Woman of the Year finalist. Over the past year, Laura has been a thought leader in our industry by speaking at numerous conferences to help further our industry and empower our next generation of insurance colleagues. Some of the conferences include: Council for Insuring Private Clients national symposium, Suncoast Estate Planning Council, National Alliance MEGA event, Private Risk Management Association national conference, University of South Florida women’s symposium and University of Tampa’s marketing association. She has authored numerous articles in various publications, including as a Worth magazine leading advisor. Laura serves our industry by serving on several industry and insurer boards, such as the Advisory Board of the Council for Insuring Private Clients (CIPC), AIG Private Client Group National Broker Council and National Alliance advisory board for the CPRM designation. She earned the Certified Advisor of Personal Insurance (CAPI) designation in the inaugural class in conjunction with Chubb and The Wharton School at the University of Pennsylvania and the Certified Personal Risk Manager (CPRM) designation in the inaugural class and is an instructor with the National Alliance for the CPRM designation. Laura serves on the Board of Directors for Meals on Wheels of Tampa and the Children’s Dream Fund. Laura has a bachelor’s degree in economics from DePauw University. She and her husband have two sons, and she enjoys spending time with family, travel, college football and the outdoors.